If you’re wondering about why I didn’t post my HLHB Weekly post last week, it’s because I decided to move my updates to Mondays from here on out. I noticed that posting after the week seems more timely rather than making updates on Fridays. That being said, how did the HLHB Trend-Catcher 3.0 fare last week? 1. Short at 1.3044. Closed when new crossover formed at 1.3076. -32 pips. 2. Long at 1.3076. Closed when new crossover formed at 1.3070. -6 pips. 3. 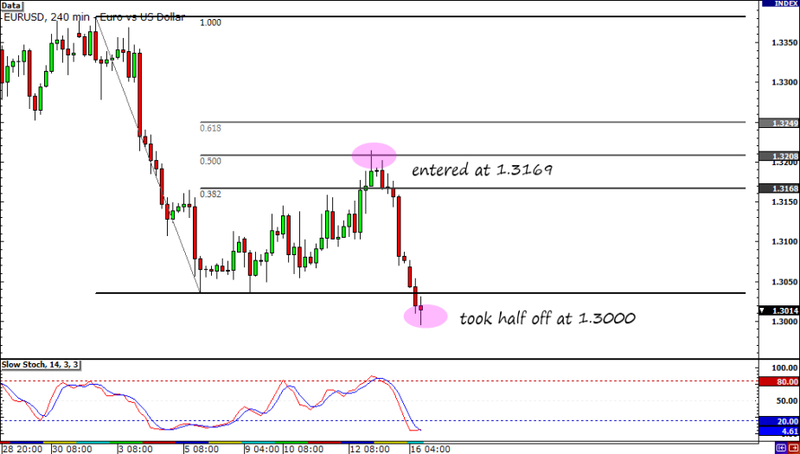 Short at 1.3070. Closed when new crossover formed at 1.3072. -2 pips. 4. Long at 1.3072. Closed when new crossover formed at 1.3090. +18 pips. 5. Short at 1.3090. Trailing stop hit at 1.3109. -19 pips. 6. Long at 1.3091. Trailing stop hit at 1.3108. +17 pips. 7. Short at 1.3107. Closed when new crossover formed at 1.3119. -12 pips. 8. Long at 1.3119. Closed when new crossover formed at 1.3119. 0 pips. 9. Short at 1.3119. Closed when new crossover formed at 1.3141. -22 pips. 10. Long at 1.3141. Closed when new crossover formed at 1.3167. +26 pips. Sad to say, my system has seen better weeks. The Relative Strength Index (RSI) was not able to filter out the fakeouts. Consequently, the Trend-Catcher scored a loss of 32 pips for the week. But, but, but! When the pair finally trended, the system was able to jump in on the move. The last signal for the week, a short at 1.3167, is still open. I’m pretty optimistic that this trade will turn out to be a big winner. It’s actually up 159 pips as of this writing. 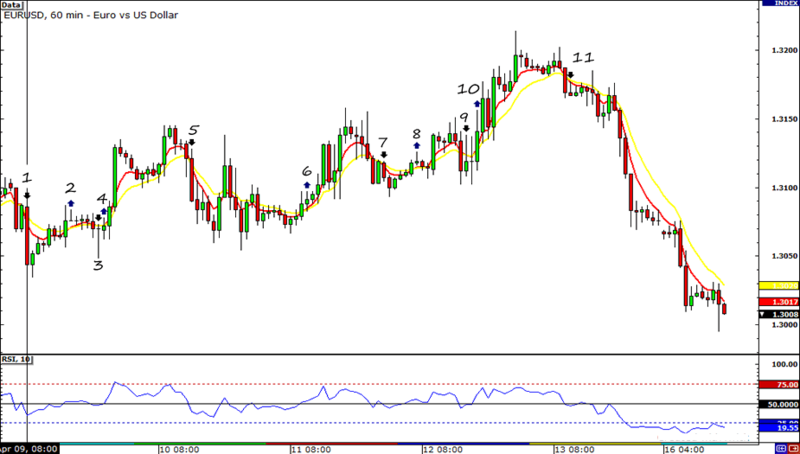 My EUR/USD trade is turning out well. As you can see, I was able to enter at the top as price found significant resistance at the 50% Fibonacci retracement level. I still haven’t determined my ultimate profit target but I have decided to close half at 1.3000 and move my stop to breakeven. While I keep my hopes up for both the HLHB system and my discretionary trade, I’m not really holding my breath to see my sister and her boyfriend get back together. I’ve done everything in my power to try and convince them to work things out. It seems that there are more complicated factors that underlie their relationship which I don’t understand. But, oh well. At least they’re still friends and I don’t have to stop talking to my sister’s ex-boyfriend.